· Sponsor and participate in reunions and other social events of the A-6 fellowship. 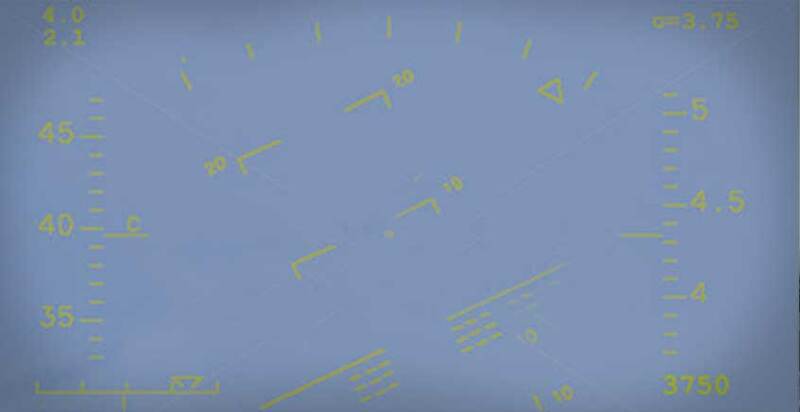 The Association will maintain an historical archive in order to disseminate authoritative information regarding the history and accomplishments of the Intruder aircraft, the squadrons that operated them, and the individuals who flew them. 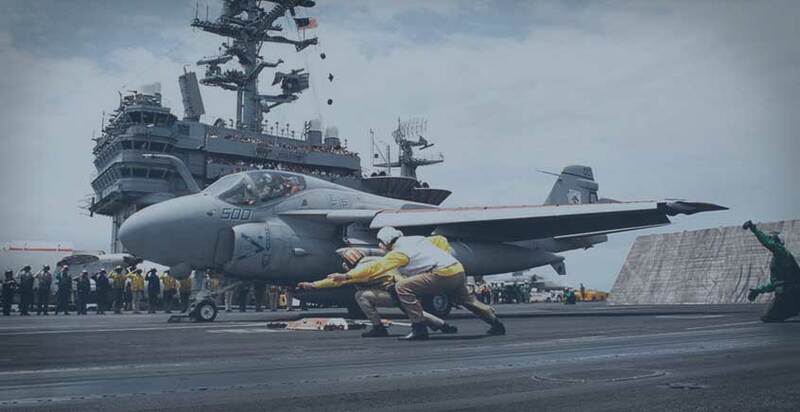 Association members will participate in memorial and other services as appropriate, and assist the many carrier and land museums regarding the display of Intruder aircraft. In addition to being composed of individual members, the Association encourages formation of squadrons/chapters in areas where there are sufficient numbers to enable the viability of such groups. These “local groups” have two functions: first, to enable more frequent meetings of members at the local level to support naval aviation and inform the general public about the magnificent job done by the men and women formerly associated with the venerable Intruder aircraft; and second, to reminisce and share in the camaraderie and excitement of once having been the backbone of naval strike aviation for more than three decades. The Association will host one national reunion every other year to enable former members of the Intruder community to renew old friendships. The reunion will be held at a location alternating between the east and west coasts. Additionally, local groups are encouraged to hold additional social functions at various locations as the need to wet your whistle and tell old war stories exists. 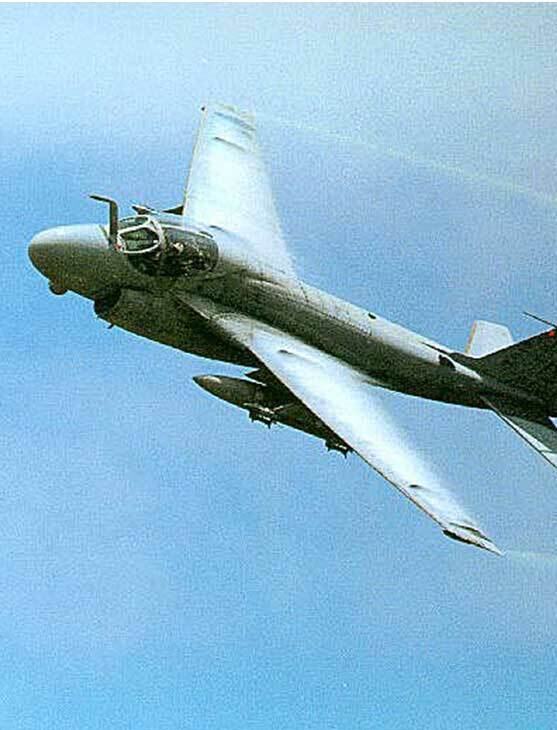 We, who are already members, encourage you to join us to keep the A-6 Intruder record straight for history and to enjoy the camaraderie of fellow Intruders. 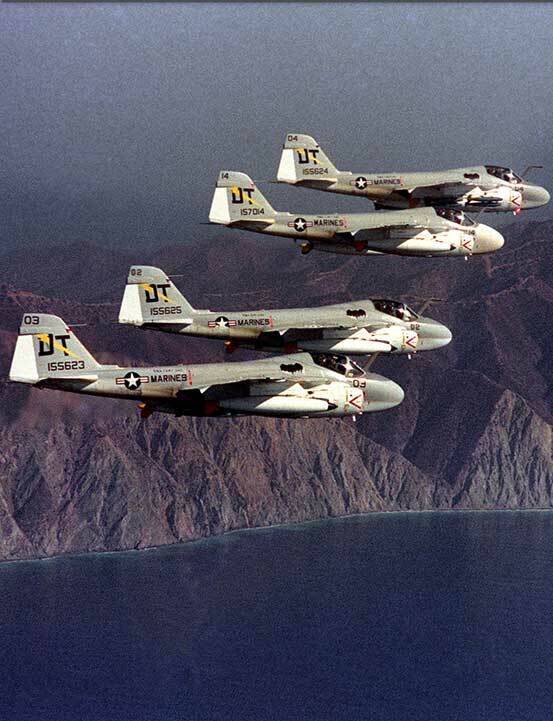 The mission Commitment of Intruder Association to preserve and promote the legacy of US Navy and Marine Corps A-6 Intruder Community, keep others informed of the A-6 aircraft mission and accomplishments, and provide for continued camaraderie among all those who flew and supported the aircraft and its squadrons,thus “Preserving the Legend of the Intruder”. Join Us for the 2020 Intruder Association Reunion! 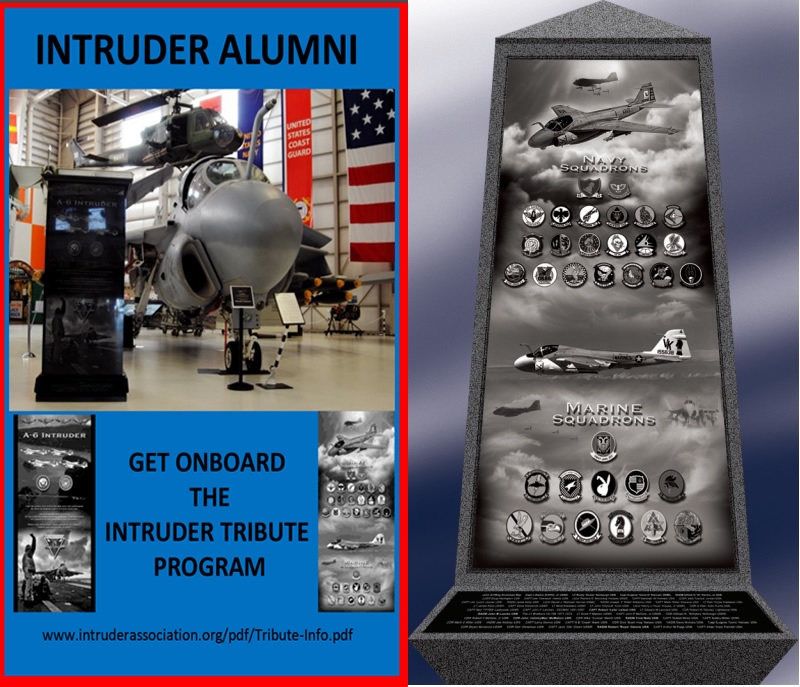 Latest Update on the Intruder Association Tribute Learn more.